Venice Christmas recipes: tradition and taste don’t go on vacation! Venice, like many other cities, is full of traditional dishes that are always proposed during the Christmas period. From aperitif to dessert, this island offers the possibility to recall ancient flavors that usually the rest of the year are forgotten. They are in fact recipes like: the caramei col stecco, the stewed eel and the cialdone that determine the arrival of the parties. To get you into the right mood I ask to imagine yourself in a narrow street and to pass under a low door, it will be your access to enter in a typical Venetian house with small spaces. The first thing you will see is an old lady cooking and immediately you will smell the food she has on the stove. This is exactly one of the feelings I love most about Christmas, women cooking for hours in a deserted house but they know it will be full with hungry relatives and children. But what are the typical recipes to cook during this period? And how far is their story? It is 1432 when Pietro Querini due to a storm lands on the island of Rost in Norway, beyond the Arctic Circle, notes that the locals feed on a fish unknown to him, the stockfish. Fascinated immediately by this marine creature, good to be consumed both fresh and salty, decides to bring with it a load on his return to Venice. It will be the Venetians who change the name of this fish in baccalà, from the latin baculus (stick), probably due to its characteristic of being hard as a wood. Become a main ingredient for the Venetian culinary culture, baccalà, is proposed during the period of festivals in different guises, considered a lean dish we can find throughout the year as a main ingredient in cicchetti. To when bigoli in sauce? 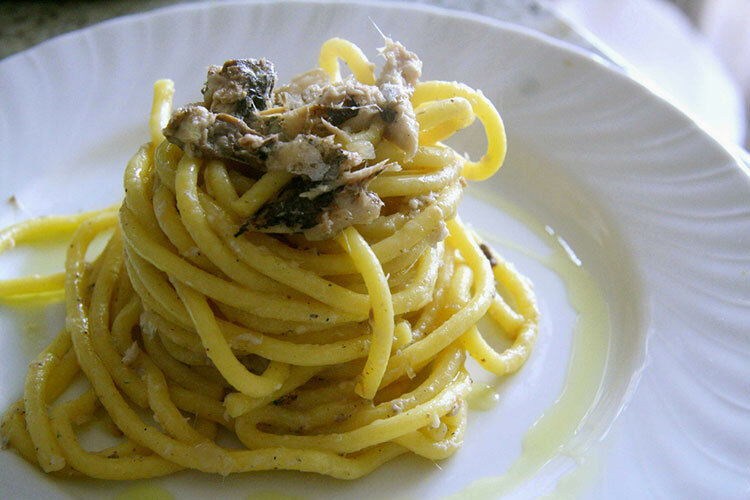 Another classic of Venetian and Veneto cuisine are bigoli in sauce, pasta similar to big spaghetti, long and drawn from the rough and porous surface, accompanied by a tasty and simple condiment made of: finely chopped onions, anchovies and olive oil. 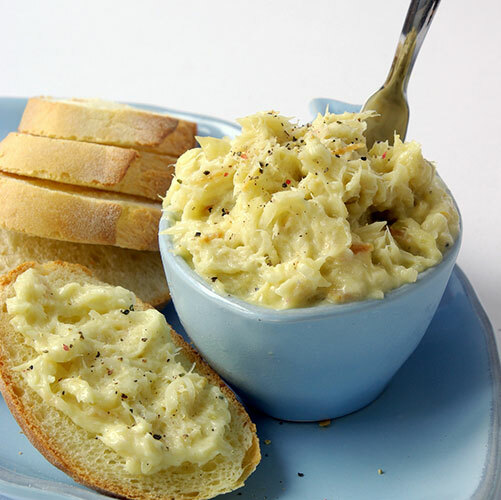 For ages this dish is a symbol of fasting and purification, in fact it is customary to prepare it in the days of abstinence from meat such as: Christmas Eve, Good Friday and Ash Wednesday. But thanks to the explosion of flavors that gives this dish, the bigoli in sauce have become the culinary symbol of Festa del Redentore. 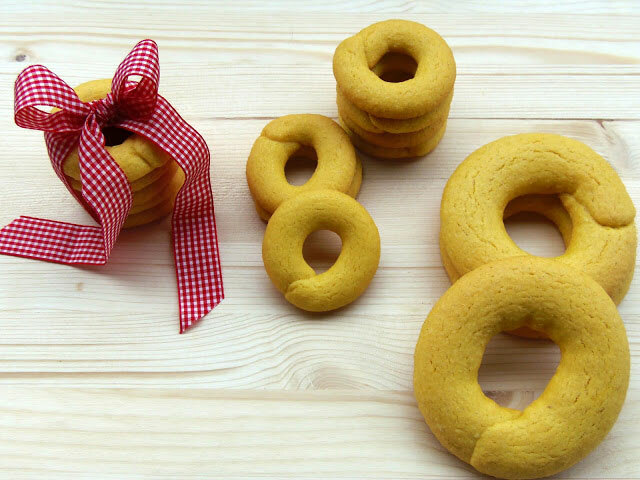 The Venetian zaeti or zaleti are friable and chibby biscuits with a lozenge shape made of raisins and corn flour. It is precisely this last ingredient that owe their name, because it gives to the dough an unmistakable intense yellow color. Born around 1600 between Belluno and the Friuli provinces of Udine and Pordenone, these sweets were very successful when they were brought together with other goods in Venice as a product to be sold. Traditionally, even today in Venice, a 'way' meal isn’t closed without having served to the guests: bussolai buranei and zaleti with passito wines, liqueurs or mascarpone cream. In this article I wanted to introduce and tell you the story of just a few typical’s Venetian recipes but there are many others for example: the panettone’s sandwiches, pasta and fasoi and bigoli with duck sauce.